WASHINGTON — Beverly Fanning is among the campaign donors who'll be joining President Bush at a gala at Washington's Ford's Theater Sunday night, but she says that won't dissuade her from her current passion: volunteering for Barack Obama's presidential campaign. — 886 words. I was sitting in my living room when George W. Bush delivered his 2002 televised Ohio speech on Iraq, justifying the attack on that country that he would launch less than six months later. In the moment of silence that followed I said, “Brilliant.” The others in the room looked at me, puzzled. They knew I had no use for the usurper of 2001. “The only problem,” I said, “is that he’s lying.” — 184 words. “God is a human construct,” so writes Christopher Hedges in his recent book: I Don’t Believe In Atheists. For someone who doesn’t espouse atheism those words may seem rather surprising. That God is a human construct might well be an atheist credo. — 751 words. When older people can no longer remember names at a cocktail party, they tend to think that their brainpower is declining. But a growing number of studies suggest that this assumption is often wrong. Instead, the research finds, the aging brain is simply taking in more data and trying to sift through a clutter of information, often to its long-term benefit. — 679 words. MOSCOW (Reuters) — The chief military prosecutor said Thursday that more than 300 servicemen committed suicide last year, despite higher spending and reforms to improve army conditions and equipment. — 658 words. Canada’s sovereignty over its Arctic islands and marine channels is solid and the government should follow up by establishing control over ships that want to sail through the Northwest Passage, says a legal expert. — 744 words. Jeff Cohen is the founder of Fair, and author of the new book, Cable News Confidential: my misadventures in corporate media. His columns have appeared in dozens of dailies, including USA Today, Washington Post, Los Angeles Times, Boston Globe, Atlanta Constitution, and Miami Herald. — 1,063 words. TEMPE, Arizona (AP) -- Fliers, let go of the pretzels and peanuts. In what could be the ultimate cost-cutting move by airlines buffeted by sky-high fuel prices, US Airways Group says it will eliminate free snacks in coach class on all its domestic flights starting June 1. The airline's largest hub is in Charlotte, North Carolina. VIENTIANE (Xinhua) — Chinese Premier Wen Jiabao has pledged that China will unswervingly follow the path of peaceful development. Addressing the recent Third Summit of the Greater Mekong Subregion, Wen said that China will develop itself through upholding peace and promote peace with its own development. — 185 words. has announced that he is scrapping a discounted oil agreement with Venezuela that provides half-price bus fares for London ’s poorest citizens. — 362 words. MÉRIDA, Venezuela — A national poll conducted between April 24 and May 2 by the Venezuelan Data Analysis Institute (IVAD) showed that 68.8% of Venezuelans believe the presidency of Hugo Chávez has been excellent, very good, or good, while 28.2% consider it to have been bad, very bad, or terrible. — 423 words. PARIS — Sixty years after the United Nations adopted the Universal Declaration of Human Rights, governments in scores of countries still torture or mistreat their people, Amnesty International said in a recent report that again urged the United States to close down the Guantánamo Bay detention camp in Cuba. — 527 words. CARACAS, Venezuela (Xinhua) — The Venezuelan government announced Wednesday that it will build 50,000 houses for poor families in six urban complexes, Housing Minister Edith Gomez said. — 109 words. Humankind's latest envoy to Mars, the spacecraft Phoenix, touched down near the planet's north pole on Sunday. If all goes as planned, Phoenix will begin collecting soil samples next week in a search for evidence that basic organisms could survive on the planet. What is Phoenix looking for? — 472 words. It is the beginning of the Prince d'Asturias prizewinners season, and in Oviedo, northern Spain, the winner of the Arts prize has been announced. — 150 words. The U.S. Supreme Court has effectively reinstated the poll tax that once kept minorities and the poor from voting, and it did so for no justifiable reason. — 476 words. Despite what the mainstream news media choose to report, Senator John McCain of Arizona is not the last remaining Republican candidate for president today. Congressman Ron Paul of Texas never abandoned his run for the GOP nomination, and he fully intends to present himself before the Republican National Convention in September as a true conservative alternative to McCain's status-quo candidacy. — 546 words. It would be dishonest of me to remain silent after hearing the speech Obama delivered on the afternoon of May 23 at the Cuban American National Foundation created by Ronald Reagan. I listened to his speech, as I did McCain’s and Bush’s. I feel no resentment towards him, for he is not responsible for the crimes perpetrated against Cuba and humanity. Were I to defend him, I would do his adversaries an enormous favor. I have therefore no reservations about criticizing him and about expressing my points of view on his words frankly. — 2,067 words. Open letter to Douglas Kelly, Editor-in-Chief, National Post from Ernesto Senti Darias, Cuban Ambassador to Canada. — 196 words. Focus on Real Estate is a new feature in True North Perspective. Each Friday we’ll bring you news, analyses, and personalities, from throughout the world. 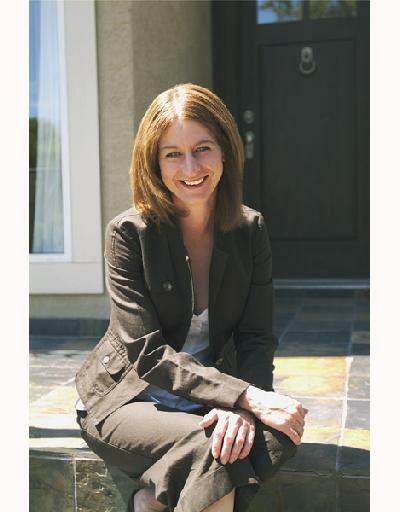 Today we begin by introducing one of Alberta’s leading Realtors, Judy Dryzmala. a member of the Calgary Re/Max family. Judy Dryzmala, mother of two daughters, is one of Alberta’s most successful real estate agents. — 581 words. Top-end office rates in central Moscow are now the second-priciest in the world after occupancy costs almost doubled over the past year, a survey released Wednesday said. — 676 words. America's home-buying season, when for-sale signs sprout like dandelions, is shaping up to be even worse than expected this year, with prices falling, sales slowing and few signs of a turnaround emerging. — 1,257 words. Exiled union leader uses cell phone in B.C. As Mexico's mining and metals industry ground to a halt yesterday with more than 20,000 workers staging a one-day strike, the union's leader was calling the shots by cellphone from a secret location in Vancouver. — 534 words. CHENGDU (Xinhua) — Design defects and obsolete buildings are among the reasons that many schools collapsed in the 8.0 earthquake in Sichuan Province, the provincial education authority said on Wednesday. — 199 words. This household tool is called a pounder, beetle, mallet, maul, pestle, and a sledge. What is it more commonly known as? JUPITER, Florida — Nearly every natural resource under the sun is about to enter the second, most powerful phase of their bull markets, eventually reaching dizzying heights that make today's record prices seem tame by comparison. — 2,031 words. Two Philadelphia companies and one of the nation's largest labor unions - led by a former Philadelphian - are at the heart of fiery debate about union tactics. — 1,163 words. Perhaps everyone hopes or believes that somewhere in the back yard or back forty lies a treasure or mysterious object long buried. Most find that their dreams are not fulfilled. However a farmer outside Collinsville, Illinois thought there was something suspicious with the glacial mounds on his back forty. He called in an archaeologist to investigate and discovered a Wonder in the New World. — 148 words. Leading American essayist and literary stylist of his time E.B. White was known for his crisp, graceful, relaxed style. "No one can write a sentence like White," James Thurber once stated. White's stories and poetry ranged from social satire (see below) to children's fiction (Charlotte’s Web) While he often wrote from the perspective of slightly ironic onlooker, he also was a sensitive spokesman for the freedom of the individual. — 562 words.